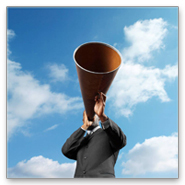 Are you taking advantage of latest and greatest marketing to maximize customer engagement? 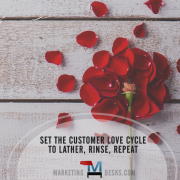 It might be one of the most valuable – yet most often overlooked marketing activities you can take advantage of at little or no cost in order to engage your prospects, clients, employees and other stakeholders in big ways. Best of all, the opportunity to engage your target audience by way of “latest and greatest marketing” is probably nearly always right under your nose. In order to take advantage of latest and greatest marketing for customer engagement, you’ll need a little thing that experts in the business call, “a plan.” That plan should have a list of items and a timeline of activities that occur before and after your latest and greatest opportunities. Whether your business has new employees as a result of growth or turnover, the opportunity exists to tell customers, vendors and other stakeholders about new people you have added to your team. 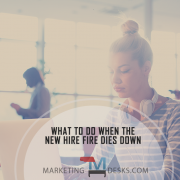 Introducing new employees to customers in mailings, email newsletters, on your website, social media and blog can help you avoid “surprising” them when a former favorite staff member has been replaced (for whatever reason). 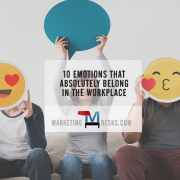 It also provides you with a great opportunity to make emotional connections as your audience learns things about your latest and greatest employee additions that they can personally relate to, themselves. Did you add answers to frequently asked questions (FAQ) to your website? Share them with all your customers in an upcoming email newsletter or plan to rotate the 12 most frequently asked questions on signs at your point of sale or use your FAQ as the starting point for blog posts and social media interaction. Did you renovate an area of your store, your social media profile (a-hem, your Facebook timeline cover photo), or your blog? Tell people! Use this as the pretext for adding subscribers to your blog and email or connections to your Facebook, Pinterest, LinkedIn, Twitter and other social media profiles. Customer suggestions and complaints can be a big pain in the patootsie or they can become one of your richest sources of ideas for continuous improvements – improvements that actually matter to customers. Use social media, your blog and email newsletter and signs at the point of sale to share your latest and greatest customer complaints or suggestions, and what you did in response. Send a message to your customers that what is most important to them, is most important to you! The point is, receiving and acting on a complaint or suggestion and making things right with that customer, if needed, is only part of the process. Demonstrating that you are transparent, honest, open to criticism and actually responsive is the other part of the process – and it’s the part that can help you to gain ground with not just one customer, but many. Your blog, email newsletter and social media are the perfect mediums to use to talk about how your business benefits your community in ways both big and small. Did you sponsor a canned food drive? Donate a portion of proceeds to charity? Sponsor a local school music or sports program? Volunteer to help tutor or read with kids at the local elementary school? Attend a neighborhood chamber of commerce, rotary or even just a networking event? Tell customers (and employees) about the ways your business helps to strengthen the local economy, participates in civic projects or supports local charities. Give them more reasons to be proud of identifying themselves with the brand of your business and referring friends and family to you. People (a.k.a. prospects, customers and employees) want to be part of something greater than themselves. Be sure that you share your business vision statement (what your business will ultimately become by fulfilling its mission; and the greater good it will provide to its constituents when it is “all grown up.”) Talk about the changes you foresee to your organization and its structure, and the opportunities that exists for employees in the short and in the long run. Your “latests and greatests” give you the means to reach out and communicate with employees as well as prospects and customers – and probably on a daily basis; are you taking advantage of all of them? This type of engagement breeds customer and employee loyalty, long term sales and referrals. Pepper your communications plan across all channels with coordinated educational information and announcements as the means of giving them reasons to want to identify themselves with you and the brand of your business.